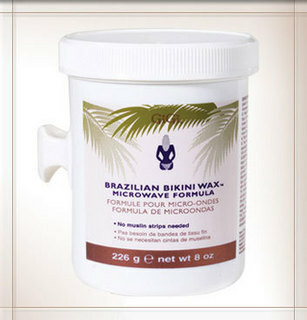 GiGi Brazilian Bikini Hard Wax Microwave Formula is a non-strip formula designed for thorough bikini waxing, popularly known as &quotBrazilian&quot waxing. This gentle formula removes even the coarsest hair in sensitive and delicate areas. No muslin strips are necessary.